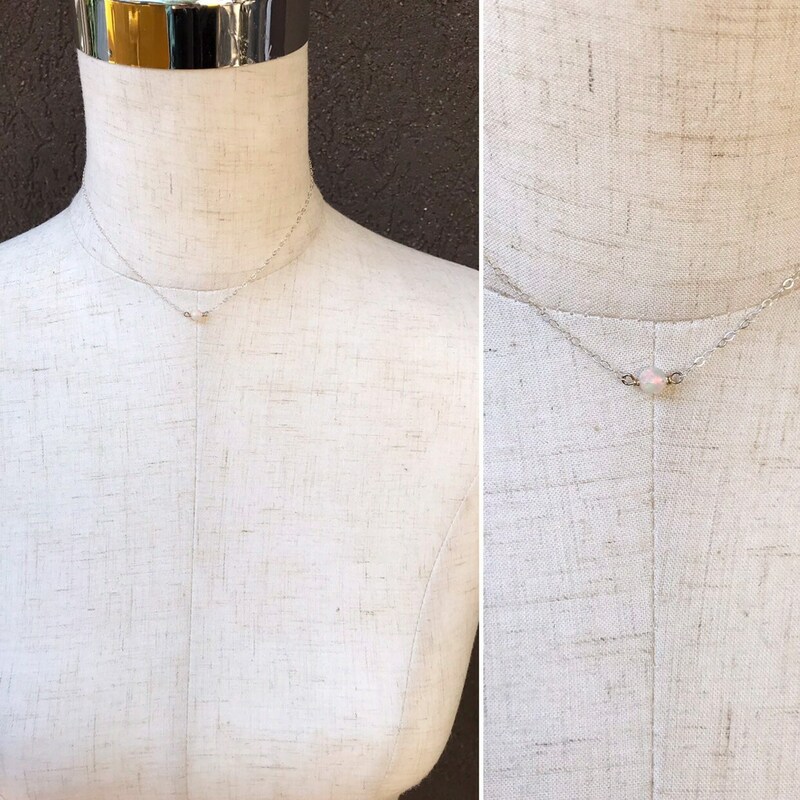 A lovely, delicate little collarbone style necklace featuring a gorgeous single faceted genuine welo opal. 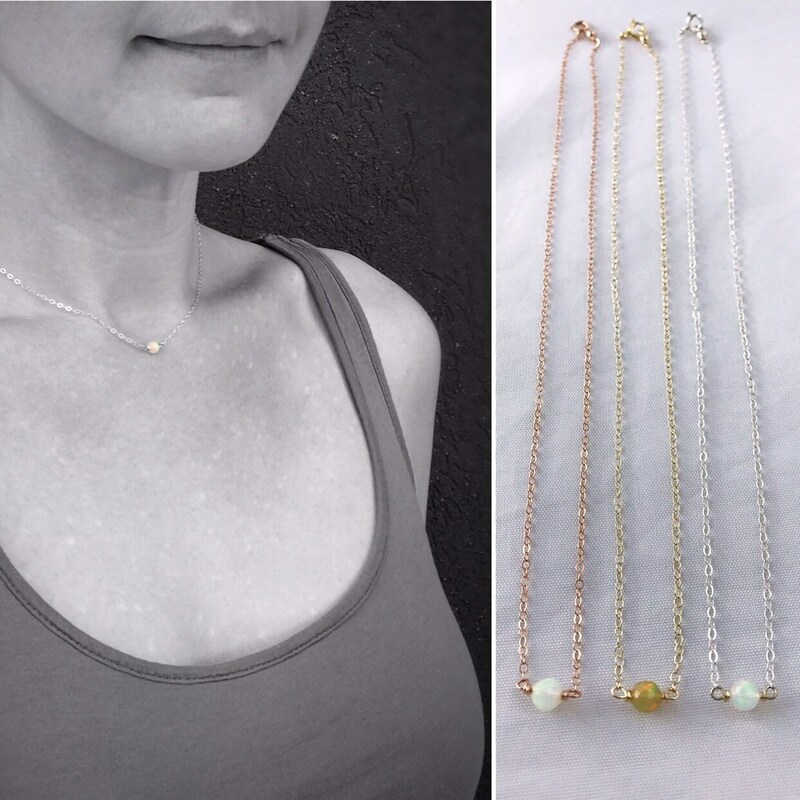 Perfect minimalist design to wear alone or layer with other necklaces. Choose from Sterling silver, 14k Yellow Gold Filled, or 14k Rose Gold Filled. The birthstones for October are tourmaline and opal. Opal is known as the "Stone of the gods." 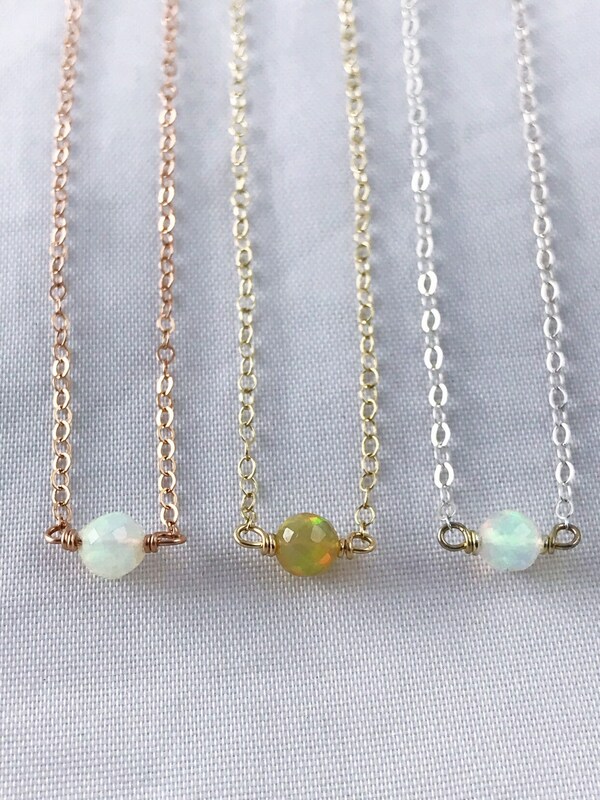 For this necklace design, I've chosen a beautiful genuine faceted welo opal as the centerpiece. The opals used for this design are beautifully faceted, untreated, super sparkly and full of fire. They range in base color from clear and milky white to golden, and are translucent. Each of them has gorgeous fire. 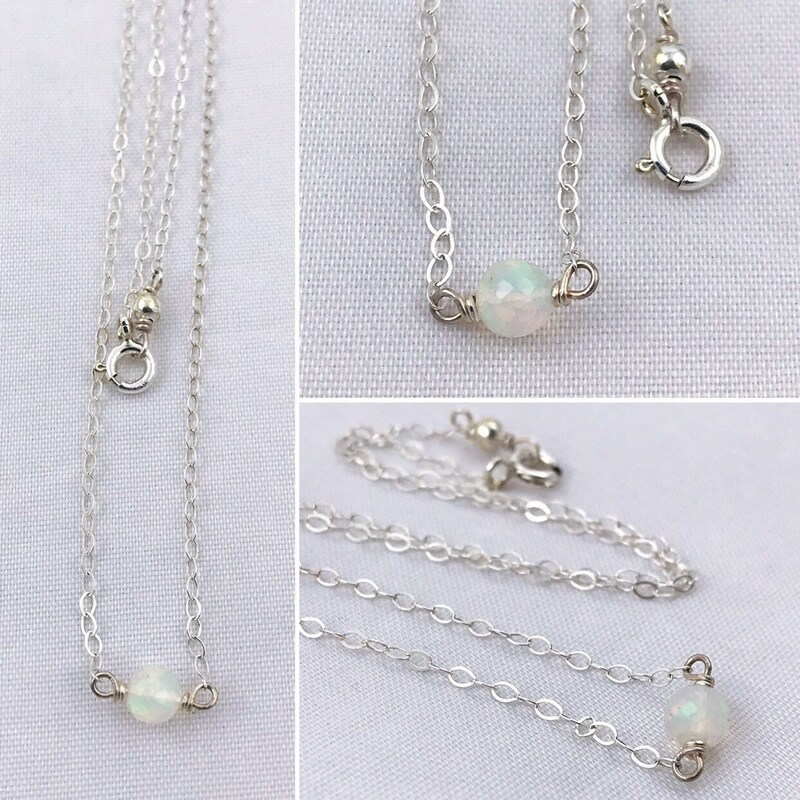 This necklace is made to order and no two opals are exactly the same. Yours will be created just for you in your choice of length and metal. 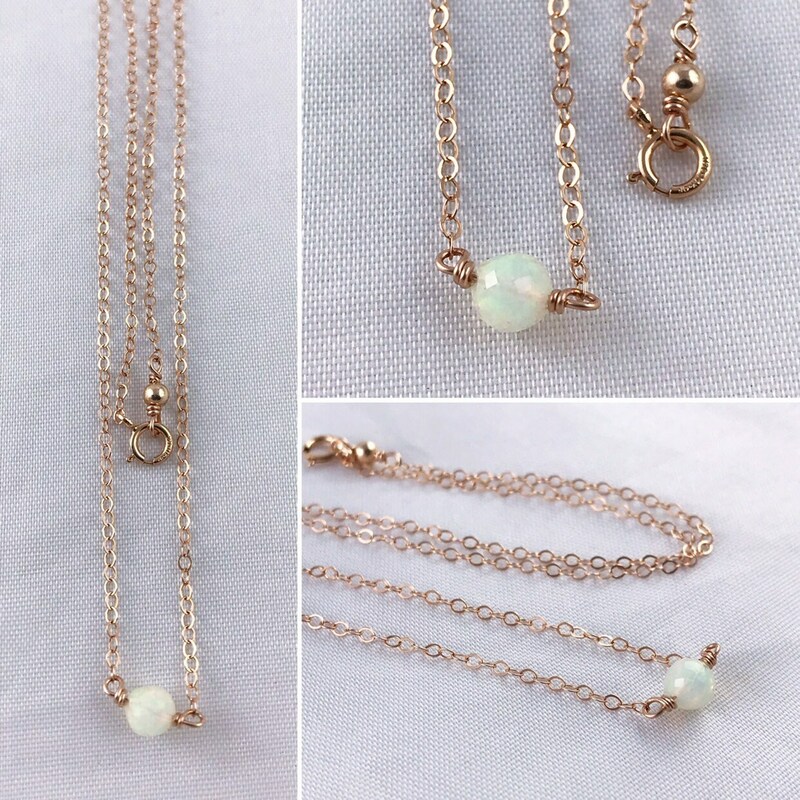 -A single genuine faceted round welo opal is the centerpiece of this dainty necklace. 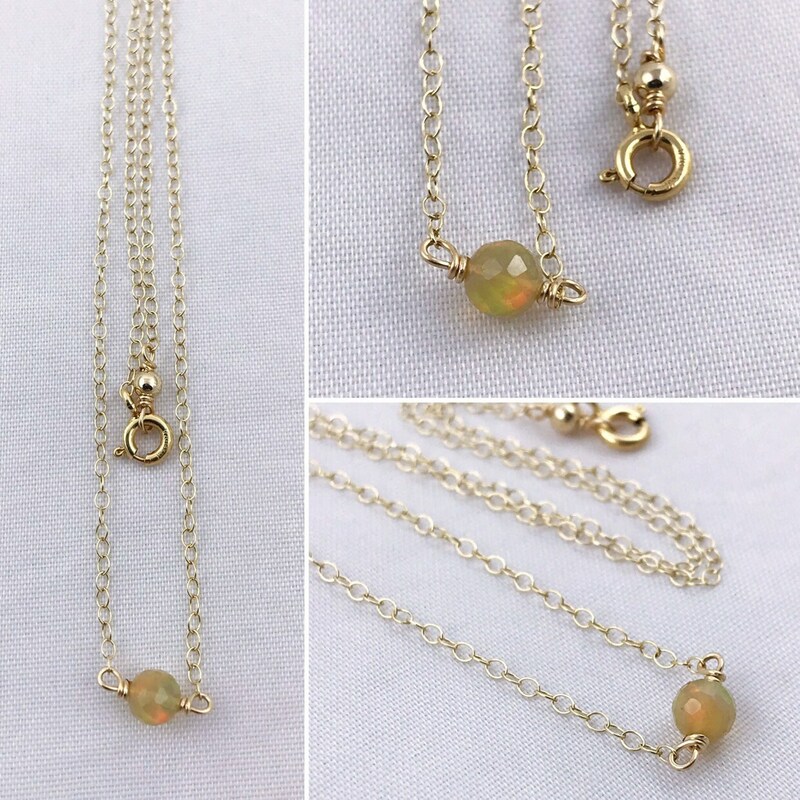 -I will choose an opal from my collection to create your bespoke necklace. (Last photo shows a portion of my faceted opal selection.) Each one is unique and they are all beautiful. 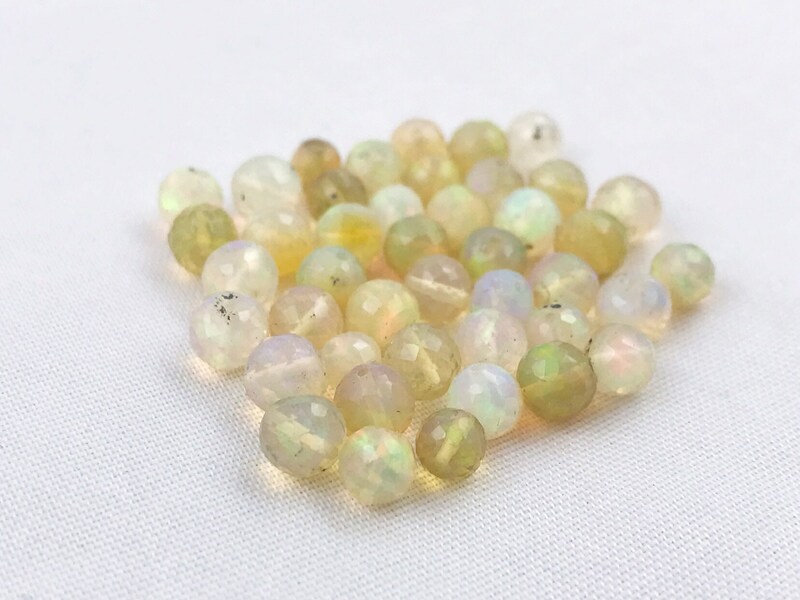 -Opals are a base color range of clear/milky/golden, and are translucent (light can pass through) with unique inclusions. They all average 4-4.5mm in size. 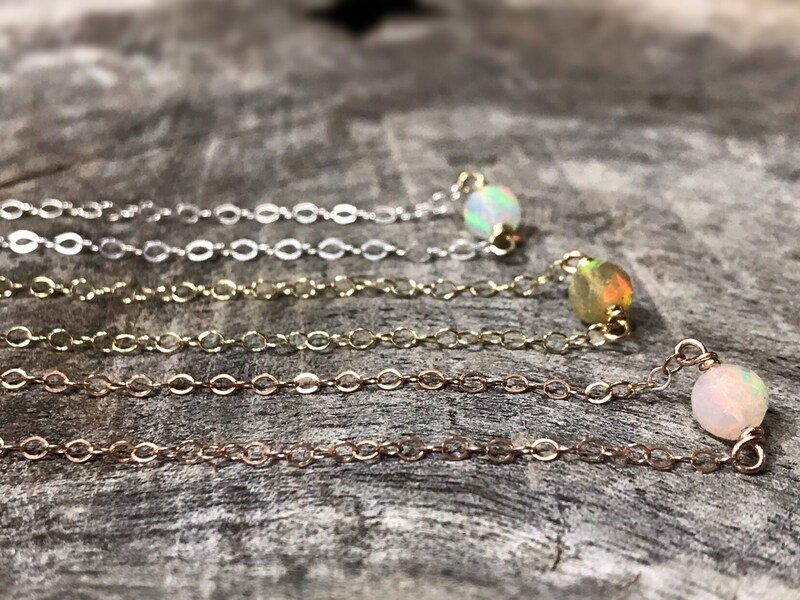 Every single one has the beautiful color play and fire that opals are known for. 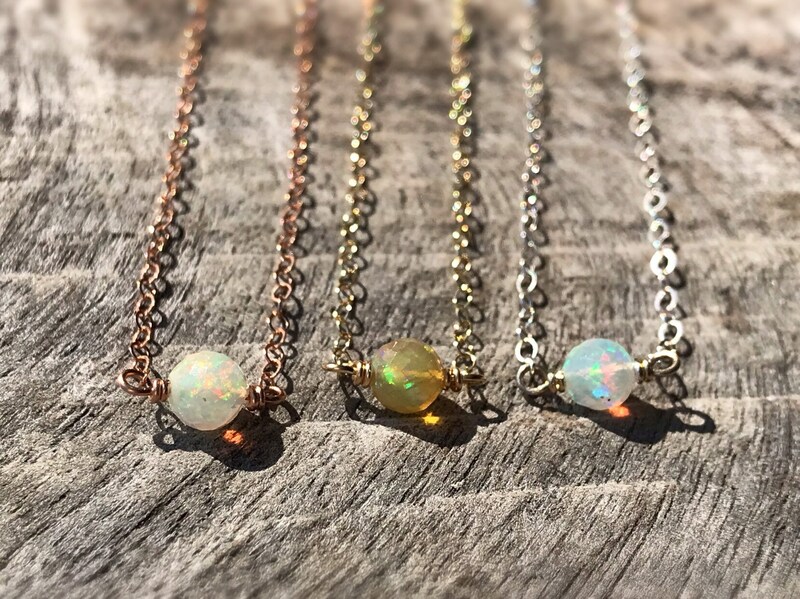 If you have a preference of opal color (clear/milky/golden) please message me before purchase, and I'll do my best to accommodate your request based on availability. 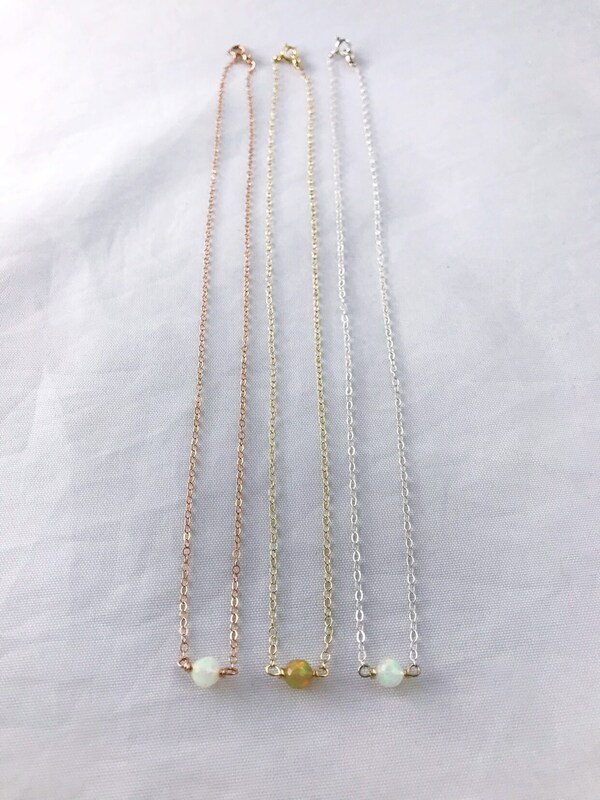 -Opal is connected directly to a lovely, delicate and sparkly cable chain which is finished with a spring ring clasp and figure eight loop with bead detail at the back. *Please Note* Fine chain is delicate and should be treated with due care to help prevent breakage.